SINGAPORE - Budget 2015, delivered by Deputy Prime Minister Tharman Shanmugaratnam yesterday, features a multi-pronged approach to provide strong support for Singapore's middle class. 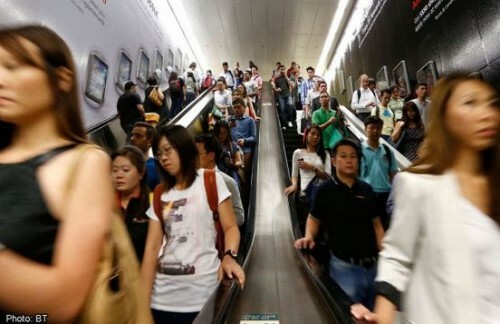 From raising the Central Provident Fund (CPF) salary ceiling to cutting the maid levy, many of the measures announced are aimed at helping middle-class families cope with the cost of living, further their careers and enhance their savings for retirement. The Government will raise the CPF salary ceiling from the current $5,000 to $6,000 from next year, and raise contribution rates for older workers. Workers aged between 50 and 55 will see a 1 percentage point increase in both employer and employee contribution rates. Those between 55 and 60 will get a 1 percentage point raise in employer contribution rates. Workers aged between 60 and 65 will get a 0.5 percentage point increase in their employer contribution rate. The Government will also enhance CPF interest rates further in retirement to benefit those with lower balances. The Government will give an additional 1 per cent interest on the first $30,000 in a member's CPF balances. This will be given to all CPF members aged 55 and above, on top of the existing 1 per cent extra interest on the first $60,000 of balance. Given the 4 per cent interest rate on Retirement Account balances, members with lower balances can earn 6 per cent interest. The Government will halve the foreign domestic worker concessionary levy from $120 a month to $60 a month. It will also extend the concessionary levy to households with children aged below 16, up from below 12 today. The annual savings from the reduced levy amount to $720 a year. The reduction will take effect from May 1 and will benefit 144,500 households. The Government will also provide Service and Conservancy Charges rebates. One- and two-room Housing Board households will receive a total of three months of rebates for this year, while three- and four-room households will receive two months of rebates. Furthermore, the Government will provide a Personal Income Tax Rebate of 50 per cent, with a cap of $1,000, so as to ensure that the benefits go mainly to the middle and upper-middle income groups. This will be for the Year of Assessment 2015 - that is, for income earned last year. Some 1.5 million individuals will benefit from the tax rebate.